International development efforts aimed at improving girls’ lives and education have been well-intended, somewhat effective, but ultimately short-sighted and incomplete. This is because international development efforts often operate under a reductive understanding of the term 'gender' and how it influences the lives of girls and boys. Gender is more commonly conceived by international efforts as characteristics which are ascribed to girls as norms for behaviour. 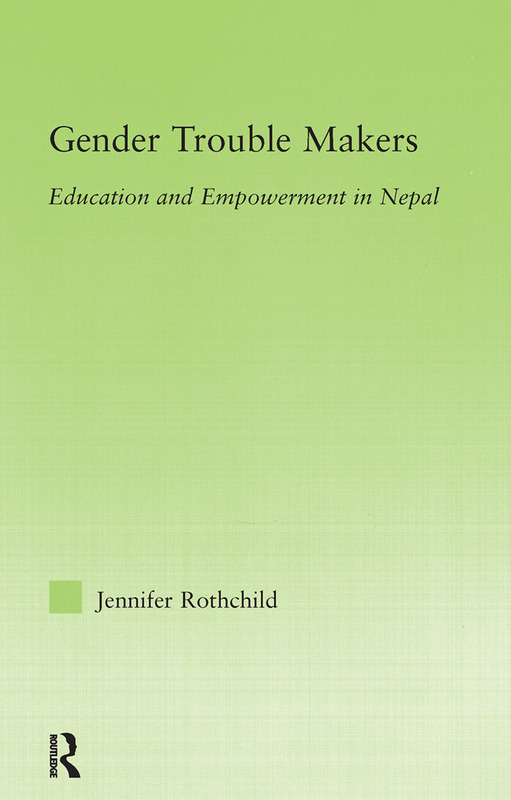 In particular, the analysis in Gender Trouble Makers focuses on the social constructions of gender and the ways in which gender was reinforced and maintained through a case study in rural Nepal. In developing countries like Nepal, promoting access to and participation in existing formal education programme is clearly necessary, but it is not, in itself, sufficient to transform gender power relations in the broader society. When gender is properly addressed as a process, then all stakeholders involved - researchers, governmental officials, and community members - can begin to understand and devise more effective ways to increase both girl and boy students’ enrollment, participation, and success in school.